Sure, it’s a luxury. But if you’re serious enough about the sport, then it’s a necessity. 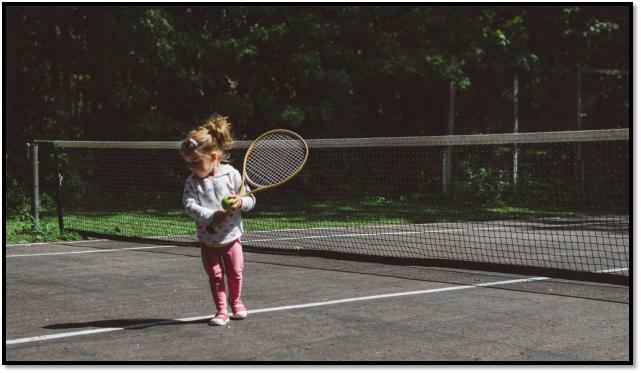 However, before you go searching for ‘how do I get a tennis court in my home?’ Let us ask you this simple question; in or out? Do you want to have it built within a room or do you wish to build it outside your home? For those weekend games and marathon training sessions, let’s find out which option suits your skills and needs the best, based on what you might have experienced on either court. With indoor courts, there are no gushes of wind to carry your ball away, no difficulty hitting cleanly. With an outdoor court, you have to deal with winds that’ll go to 20 MPH, so you’ll need to go for flat, short and compact strokes. In short, you’ll need to adjust how you play. Indoor courts have only one temperature; what you set it to be. There are no poor weather conditions, no moisture or wind. So you can have a fast game. But if you choose to have an outdoor court, you may need to adapt to the slow conditions, especially if the weather is playing up. For those with a heavy forehand, you’ll need to incorporate a serve and a slice as well as a volley strategy to be on the ball. Of course, with outdoor tennis courts, there’s the sun and heat to deal with. The issue can easily be dealt with if you have telescopic covers installed. However, with indoor courts, as stated above, since you control the temperature, there really isn’t much you should concern yourself with. With an indoor court, there won’t be anything stopping you from practicing as much as you’d want. So you won’t have to worry about getting rusty. However, with an outdoor court, you might get limited time if winter picks up. Why Still Get an Outdoor Court? With all this, you might be stumped as to why anyone would want an outdoor court to begin with. The truth is that only with an outdoor court can you get the same experience as you would from a competitive match. Otherwise, you’ll become overwhelmed. Indoor courts are great for practice and improving technique. But for the true experience, only an outdoor court would suit. Contact Sport Court South Florida at 1-800-313-2944! 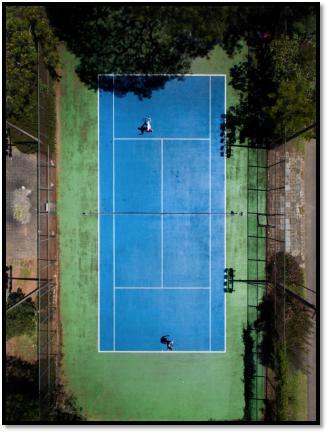 Whether it’s an indoor or outdoor court, we’ll help you choose the best one that’ll suit your tennis needs!